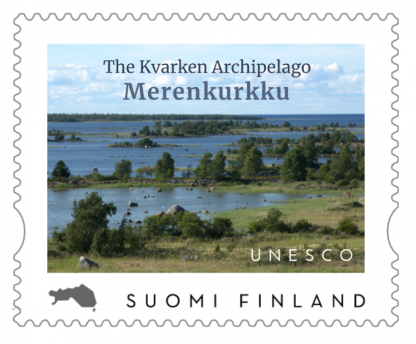 This custom-made stamp shows a small piece of Kvarken Archipelago. 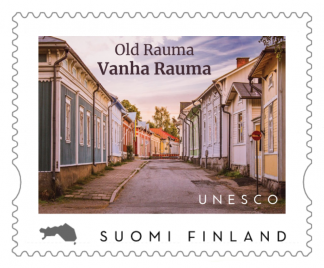 It is the only natural heritage site in Finland and it was accepted to the UNESCO World Heritage list in 2006. 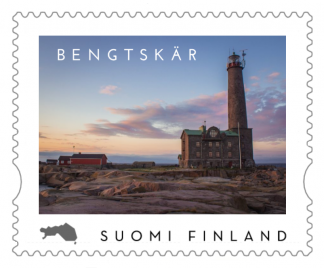 This same archipelago view is available as a postcard too.